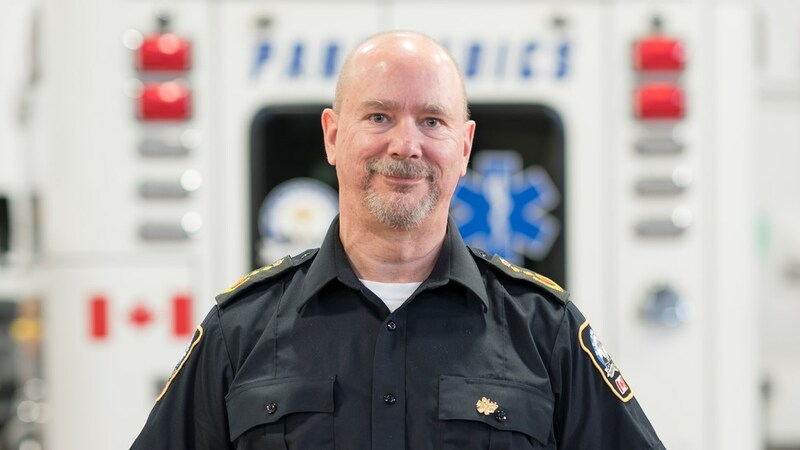 As a continuation of the story featuring Medavie Health Services West (formerly M.D Ambulance) and the process of implementing CPRmeter, we are pleased to offer the full interview here. We spoke with Tim Hillier, Deputy Chief of Professional Standards, and he shared further insight into the world of Medavie Health Services West and how the introduction of CPRmeter impacted the organization. To read Tim's responses, click each question below. Please tell us about Medavie Health Services. Medavie Health Services is a national primary health care solutions organization and the largest private provider of EMS management services in Canada. We manage subsidiary companies in the fields of pre-hospital emergency medical services, mobile integrated health, telehealth medical communications, public safety delivery and clinical training, and are proud to be a key Primary Care Paramedic training partner of the Department of National Defense. 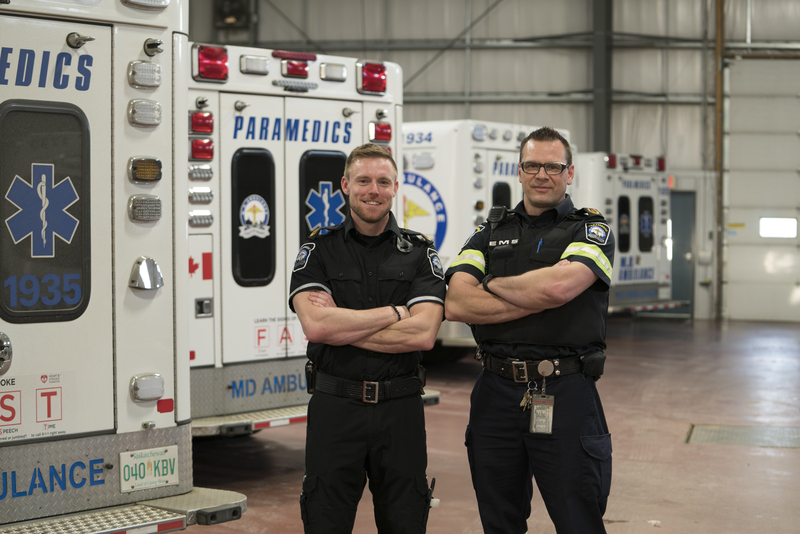 Medavie Health Services West brings together three western Emergency Medical Services (EMS) companies – MD Ambulance, Guardian Ambulance and Prairie EMS. Our operation in Saskatoon has been around since 1976. We have a wide range of experience in the company. Just before lunch, one of our medics stopped in to talk to me. He’s got 37 years with us. We’ve also got kids right out of school. It runs the whole gamut. How long have you been with Medavie Health Services West? 32 years. I started even before I was an EMT (Emergency Medical Technician) – I took my EMT training shortly after I got here and just moved up. I’ve done everything from EMT, to paramedic, to shift supervisor, to field trainer, to Deputy Chief for Professional Standards now. Can you describe the environment of your EMS system? When I started, there were only 30 employees in the company, so of course we all knew each other and knew everything about each other. When you have 200 people in the company, things change a little bit. It becomes somewhat less personal. But we do things to try to fix that – every year we put on what we call a family fun day. [It is] a BBQ and a fun event for people to bring their kids by. The [medic who began his career with M.D. Ambulance 37 years ago] was so impressed by that – he looked out and saw three generations in one building just having a good time. One of my other colleagues – two of his daughters work here now. Obviously we must think it’s a good place to be if we’re promoting our children to work here alongside us. It’s pretty common – we’ve got a lot of brothers, daughters, and sons. What is your station environment like? We’re a relatively large organization, so we have the single-start station where every employee comes to begin their shift. But as soon as they’re in an ambulance, they are out of here. They have five other stations around the city. If we’re quiet enough, that they can actually stop, then we have places for them to be. But, it’s generally pretty busy. It’s not uncommon to have all eleven ambulances out on the streets. What are some of Medavie Health Services West's objectives at this time? I can only answer that from my department - from the professional development department, or the medical side. We try to shape objectives every year and focus on those. We make improvements, then make those improvements standard, and then find something else to improve the following year. Our main focus for the past three years has been improving our cardiac arrest statistics. We decided for 2018, we’ll be focusing on sepsis and we’ll put a strong emphasis on training for that. What was your position on real-time feedback for CPR before adopting CPRmeter? Not really understanding the value of the product, we didn’t feel it was a priority for us. We were all highly trained in CPR and didn’t feel an instrument like CPRmeter would help us. We had the recording manikins, for example, and we worked very hard to ensure that the guys were doing very well on the manikins in class. At the time we really didn’t see the value of the product – once we implemented it we were so impressed. What led you to choose real-time feedback initially? What changed? Cory (District Manager, Laerdal Medical Canada) was the catalyst behind this whole thing. I don’t know how many times I’ve said it - we wouldn’t be where we are today without him. He kept talking to me and explaining the value of this and kept finding new ways to make me understand that we could do better. He never said that we weren’t doing well, he always just said there were ways we could do better. It’s very rare for salesmen to have that quality – that he can make you feel that you can do something better. I was quite impressed with how he handled it. Cory attended a few training days and provided an opportunity for the team to demonstrate their abilities in a blinded environment. He was able to show us as first responders, we could only improve. I was going down the path of high-performance CPR anyway and then with Cory doing his part, this was the perfect time to add the feedback. Did you face any challenges as you began implementing change? Not challenges – it was an incredible opportunity for us. We were working very closely with our fire department, so we were able to expose them to these at the same time. They don’t have [CPRmeter devices] but as soon as we show up, they know exactly what to do with them. There were no issues, everything worked out perfectly for us. How did you rally champions within the system? Because of the timing being so perfect, it was rolled out to the entire company over the course of four weeks. Everybody got the exact same training over a very short period of time. We were able to get everyone very excited about it. I was able to use the data that I pulled from Arizona, from Chicago, from Wake County to show them why we were doing all of these things – not just the measurement but the high-performance CPR. It’s tough for people not to be excited about the possibility of improving survival. Once we gave [the EMTs and paramedics] the facts, they were all over it. They started to realize that they could absolutely become more effective with compressions –especially over an extended period of time. That’s the beauty of these devices – they may have been able to do a CPR class before and rattle off 100% on a manikin for a minute. But when you start doing entire calls and recognize how quickly you tire, that’s when these instruments really shine. How did you work outside of the system to spread usage and awareness? The Fire Department was a huge piece. I think that was a large part of why our system improved so well, so quickly. We really got buy-in with them, and the timing was perfect. All of their firefighters, PCPs (Primary Care Paramedics) or EMTs come through training with us every two years. That, again, was the exact time in 2015 when everything was happening. So, we incorporated one hour of that day to [focus on CPRmeter training]. Everybody got to train with the other services so that we could learn what the expectations were for each service on the scene. What are the roles and expectations of the paramedics and the firefighters? I look at my fire team members as my CPR experts, so I want to leave the manual skill of CPR to the firefighters. That frees up my paramedic staff to look at the overall system. How are things running, what’s the quality of CPR, what sort of advanced skills do we have to be providing? When we can trust that the firefighters can [provide quality CPR], we can focus on the bigger picture. That’s what we trained on when we trained together. We did scenarios where EMS would arrive on the scene first and fire would arrive on the scene second. How do we put people in the proper position? What happens if fire is on the scene first and EMS arrive second? How do we get people in the proper roles? We laid that all out on paper so that everybody knows exactly what their job is and what to do when. How do you support a growing staff and the need for additional CPRmeter devices? When we put new ambulances on the street, they are part of our standard supplies. We know they’re not going to last forever, so as we need to replace them, we replace them or add them. What would you say to someone who is on the fence about real-time feedback? CPR feedback must be done flawlessly; with a tool like this you have the opportunity to reach your maximum survival. The way I look at it, I know that there are six more people alive in Saskatoon each year that wouldn’t have been if we hadn’t done this. I think that’s what people need to hear and they have to put it in that perspective. Nothing else that we do in cardiac arrest makes as much of a difference. I’ve been a paramedic for a long, long time, but all of the fancy stuff that I bring to the game doesn’t change anything. What changes things for cardiac arrest is effective CPR and early defibrillation and both of those things can be done by laypeople. If you’re going to do effective CPR, you have to measure it and you have to provide immediate feedback. To me, you’re not doing the job that you can do if you don’t have these devices. What recommendations do you have for customers who are beginning to implement real-time feedback? I think that the most important thing is that [your CPR device] is not forgotten. Make sure that it’s taken out of the bag and put on immediately and have someone who just keeps pushing people back to watching [the screen]. There’s a lot going on during these calls – there are a lot of people, a lot of noise, and a lot happening, so it’s easy to get distracted by any number of things. We have to pull [EMTs and paramedics] back and let them know, “your job is to do excellent compressions and you’re only going to do that if you pay attention to the screen”. That’s easy to say, but difficult to do. What are you hoping to achieve by sharing your successes with real-time CPR feedback? I keep coming back to: "how can we keep more people alive or bring more people back?". High Quality CPR is the answer…A lot of it is even trying to change paramedic mindset. Paramedics have many tools at their disposal; IV’s, Intubation, medications, but these tools have never been proven to increase survival from cardiac arrest. One has been proven… and that’s effective CPR. What are you currently doing to increase the impact of real-time CPR feedback? This is our culture now. We don’t consider doing a cardiac arrest without it. This is part of doing compressions –this is the first thing that comes out and it goes on the chest. We have a great staff here –when they buy in, they buy in really well. The team adopted [CPRmeter] phenomenally. We would like to thank Tim and the staff at Medavie Health Services West for their time and their efforts in saving lives. We are inspired by their dedication to quality CPR and we appreciate the story they have so graciously shared.